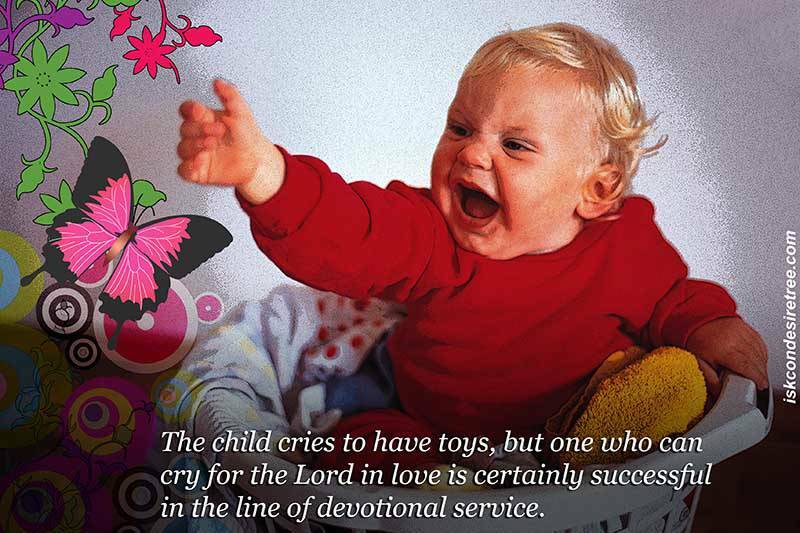 The child cries to have toys, but one who can cry for the Lord in love is certainly successful in the line of devotional service. Whatever devotional service we may have, we do it for seeking the shelter of the Lord, not for our mental or physical enjoyment. 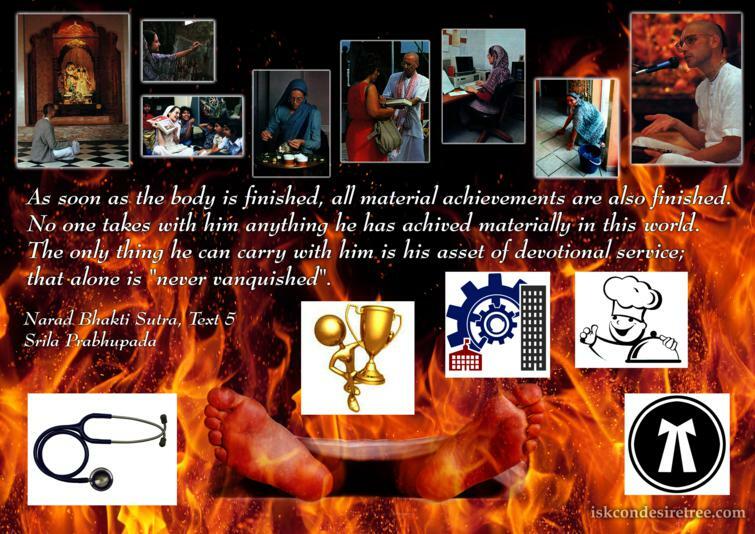 As soon as the body is finished, all material achievements are also finished. 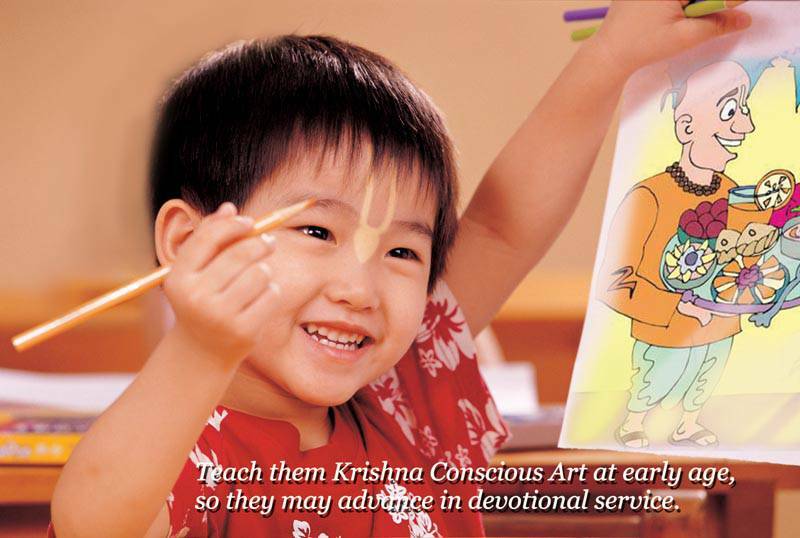 No one takes with him anything he has achived materially in this world. 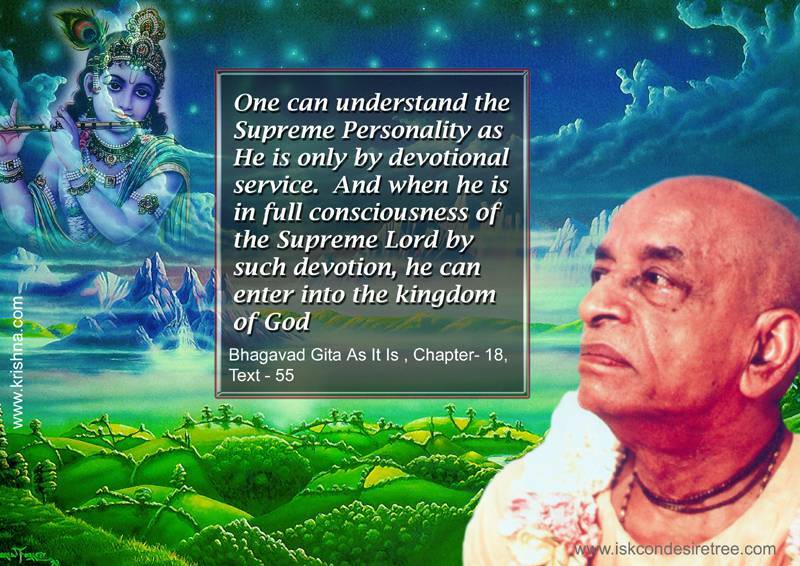 The only thing he can carry with him is his asset of devotional service; that alone is "never vanquished". 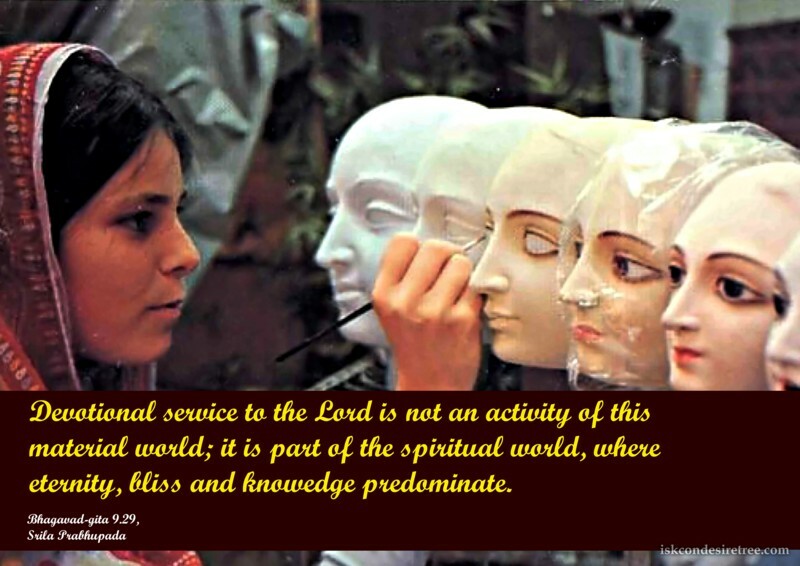 Devotional service to the Lord is not an activity of this material world; it is part of the spiritual world, where eternity, bliss and knowledge predominate.